You are currently browsing the Got Transmissions blog archives for December, 2013. Buying a transmission replacement can have a level of fear for each buyer. Not knowing the quality, mileage or other unit information before purchase can be disastrous upon delivery. The used transmissions for cheap prices supplied by Got Transmissions helps thousands of automotive consumers each year. What is not found directly on this page or in the company inventory could still be found through the distribution network. The low prices featured for each unit for sale are locked in for each customer. The various types of preowned condition transmissions in stock feature most U.S. automakers and foreign manufacturers. These include Ford Motor Company, General Motors, Chrysler, Jeep, Honda, Toyota, Nissan, Isuzu, Land Rover, Infiniti and other brands. The most important aspect of purchasing a used transmission from a dealer online is to validate the history of a company. A quick Internet search for negative information or issues for delivery can be one way to verify any company. The used automotive transmission inventory market here for sale is attractively priced and delivered just days after purchase. There three major types of transmissions that can be purchased for cheap prices using the Got Transmissions company. These are broken down into manual, CVT and automatic editions. The type of transmission available has little to do with the actual manufacturer. Most automakers perform in-house production of transmissions as well as outsource the production in the global auto industry. What should be known by buyers using this online resource to research transmissions in stock is that quality is put first over profits. Each customer who reviews the online inventory located here for sale is treated to above average condition used gearboxes. This means that quality is verified and mileage counts are determined before inventory is posted online. Internal reviews help to establish the quality that each buyer receives when a purchase is complete. The cheap prices that are found for preowned transmissions by Got Transmissions are maintained through established dealership and supplier relationships. All price points are marketed to the public as a cost saving effort to help more buyers. The current buyers using this resource includes salvage yards, junkyards, service centers, warranty repair facilities, mechanics, car owners and overseas buyers. The quality for transmissions has been established on this page. The types of inventory available for sale is also established for buyers. What was not yet established is the current purchase price that buyers pay to own a Got Transmissions used gearbox. Prices are handled through the quotation system found at the top of this page. This system provides one of the fastest routes to discovering the sticker pricing for all previously owned transmissions in stock. This quote system also supplies warranty details and shipping policies. These complete quotes are also available when utilizing the toll-free number displayed directly on this resource. This method to find, quote and compare used transmissions is easy from any part of the world. Mitsubishi Eclipse was produced between 1989 and 2011 in the United States. This vehicle series had production help from both Chrysler and Mitsubishi. The trading of technologies is one reason this brand of automobiles lasted for over two decades. 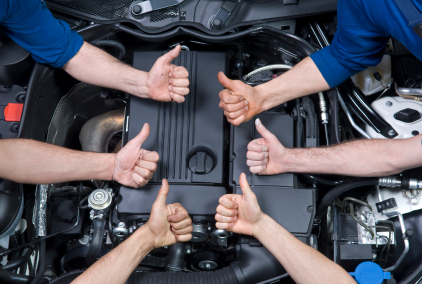 Buying a gearbox for replacement in this vehicle brand does not have to be difficult. The Got Transmissions company is one of few specializing in OEM Mitsubishi assemblies. The 2001 Mitsubishi Eclipse transmission found on this website is ready for U.S. shipments. Diamond Star Motors was one of the manufacturers of the early edition Eclipse. This unique partnership between Chryslerand Mitsubishi was formed to build better performance vehicles. While the partnership faded, the vehicles produced remained in production. The transverse gearbox is one of the more common designs produced during these period. There are two main transmissions found in most Eclipse vehicles. These are four-speed automatic or five-speed manual units. Each of there are included in the inventory of units sold from this website. The rear wheel and all-wheel drive builds in the Eclipse can help determine what transmission is needed. The all-wheel drive units were setup for different placed in the undercarriage. Each replacement Mitsubishi gearbox located on this website includes a complete warranty. This is offered to any buyer in the United States who wants more coverage at time of purchase. Few if any auction companies or second hand suppliers of gearboxes provide a warranty that lasts more than 12 months. Buying with confidence using this resource is one option many people choose. The Eclipse GT and standard edition models are represented here. Buying from used resources is one method that is available to save money. While the production of this Mitsubishi vehicle is no more, there are still great resources like Got Transmissions to find parts for sale. Why buy salvage gearboxes that aren’t up to par? The national resources used for obtaining all inventory here preserves the OEM production of each gearbox. The types of units that are available in the import and domestic inventory do give a lot of value to customers. Buying used Mitsubishi transmissions that fit Eclipse or other models is simple to do here online. All prices that are fixed to replacement gearboxes on this resource are quoted online. There is an option to call toll-free to obtain more information before buying a unit. This standard phone method of price discovery links the GotTransmissions.com company specialists with any buyer who requests more information. The quotes tool used on this site is powerful. All prices that are viewable are highly accurate. The exact purchase price, warranty specs and free shipping information are all included. The use of this website offers a simple and complimentary tool when searching for preowned transmissions dealers throughout the U.S.
Ford starting using the appointed T5 transmission made by Borg Warner in 1984. There are different builds of the T5 gearboxes that were produced in the United States. The relationship that Ford Motor Company developed with Borg Warner for its transmission development lasted for decades. 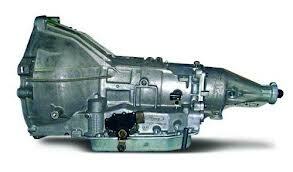 Buyers can find a Mustang T5 transmission here on this resource. Got Transmissions is likely the largest provider of preowned Borg Warner transmissions in T5 builds on the Internet. There are different builds when it comes to finding a replacement T5 automotive transmission. The BW series is one design that was used for most Mustangs over the past 30 years. The World Class production upped the value in the 5-speed transmissions with additional parts quality and craftsmanship. The latest series of Tremtec T5s on the market is an option for some aftermarket buyers of Ford gearboxes. All transmission units for sale through this Got Transmissions resource are guaranteed to be authentic. Popular builds since the 1980s have included the Cobra, GT and 5.0 series. The early 1990s builds of the 5.0 included the standard T5 transmission builds. While technologies have been upgraded, what has not changed is the design specs. Ford and its appointed transmission manufacturers have kept the integrity of the Mustang transmission in tact. 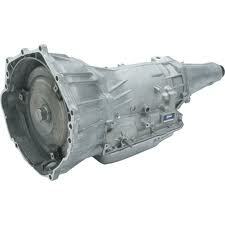 Buying used Mustang gearboxes for the right price can make any transmission replacement easier. Spending too much money buying a rebuilt, remanufactured or reconditioned gearbox is not always worth it. Performance is one thing that buyers of transmissions place a lot of value in when changing out a defective unit. A gearbox that has trouble going from second to fourth gear is the sign of a bad build. Some buyers of transmissions are sucked into low price guarantees that are found through auction websites and classified advertisements online. The promise of a low price can be disastrous if a warranty is not supplied. All GotTransmissions.com warranties that are underwritten includes coverage for most used T5 transmission parts. This provides an additional assurance to Mustang vehicle owners, body shops, mechanics, salvage companies and others buying a manual 5-speed transmission online. Prices can always change in the auto parts industry. This is one reason why it’s hard to find prices printed online from reputable dealers. The quotes process is a preferred strategy in use by some sellers as well as this resource online. Submitting a request for pricing does not take a lot of time here. Using the drop down box on this page, enter the year and make of the Mustang that needs a T5 transmission replacement. This basic information is used to generate low price quote. A toll-free number is optionally supplied if phone processing is the preferred method of price delivery. All warranties that are provided with the Borg Warner or Tremtec designs in the company inventory are included in the purchase price of every transmission for sale.